Dullea + Associates, Inc. designs custom homes, renovations, and additions that are as distinctive and unique as our clients. With over 25 years of experience in the residential design field coupled with training and experience in construction, Mark Dullea and his team is able to provide clients with homes that exude artistic excellence and sound constructability. Our designs range from the romantic architectural styles of Europe, to the sturdy charm of the Craftsman era, to the sleek mid-century modern style of the 1950's. Our designs reflect the personality and charisma of our clients in a way that supports and improves their quality of life and enlightens their scenes in new and fascinating ways. We love what we do and would love to put our passion to work for you. Nationally recognized leader in sustainable architecture with the express conviction that every building should enhance the well being of its occupants, achieve economy through conservation, and honor the natural resources inherent in every site. A culture committed to restorative design: We start with a blank canvas because we have no over-arching style. We prefer to collaborate in the development of climatically responsive designs that express our clients’ vision. Our design process starts with you. We want to understand you and how you want to live and work in your built environment. Understanding what you love, what drew you to the site, and how you connect with your people and your world informs what we design for you. Known as one of the nation's leading residential house plan designers, we offer award-winning pre-designed home plans. Committed to excellence -- from the attention to detail we provide in our house plans to the world-class service we provide to our customers -- we strive to exceed your expectations in everything we do! Home plans from our extensive online house plans portfolio have been featured in fine magazines such as Southern Living™ and Better Homes and Gardens™. Each of our house plans is a unique interpretation of the American family home and includes an open floor plan, custom-styled features, and abundant amenities in a broad range of house plan styles and sizes. How do I find the best Greenville architect for my home design project? It is best to hire a home architect who will be involved in all phases of the design process, from the initial concept to the completed construction. The architect is often the first person you will hire for your project. If necessary, they might also help you select and hire South Carolina subcontractors, which can include the builders, engineers and landscaper. Interior architects are also involved in negotiating contracts for all involved participants. It is for these reasons that it is extremely important for you to have a good relationship with the Greenville residential architect you hire. He or she can be the tie-breaking vote between you and the general contractor and can be your biggest advocate during the construction process. Different architecture firms in Greenville, SC provide different services, so the scope of the work can span from pre-design environmental impact studies to selecting furniture and finishes, depending on what your specific needs are. It is very important to hire the right professional for the job. Remember that the most well-known or established designer might not provide the best architectural services for your needs. It all comes down to the individual project. Research and ask people whose work you like for recommendations. It's important to have somewhat of an idea of the style of house architecture that you prefer, as well as the amount you would like to spend. Residential architects in Greenville, SC are natural problem solvers. They will assess the entire situation and help you to solve your problems too. Don't settle for a single company too early. Call and interview a few. Make sure that you feel like your personalities will mesh well and that you like their professional perspective. Find a home architect in Greenville, SC on Houzz. 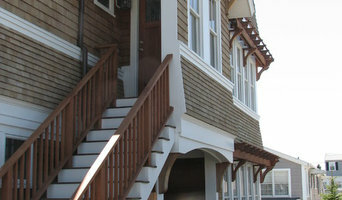 Narrow your search in the Professionals section of the website to Greenville architects. You may also look through photos of South Carolina projects to find interior architects and building designers who have worked on a project similar to yours.